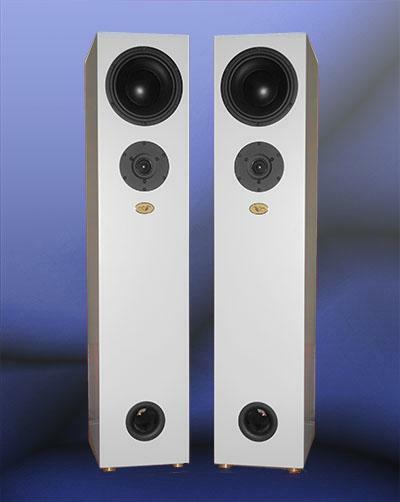 Product name: Audiofilia AF-S4 loudspeakers. 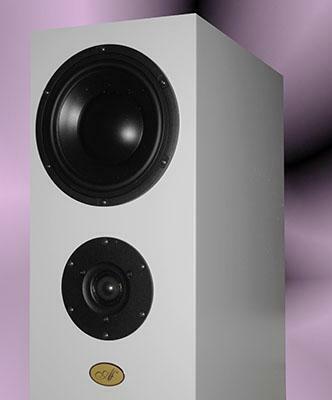 One of the most enjoyable reviews that I have written for TNT-Audio was for a pair of Audiofilia AF-S2 loudspeakers. So when Audiofilia offered us another pair of their speakers to review, I jumped at the opportunity to hear whether their larger floor-standers could offer the magic of the much smaller AF-S2s. I have to say straight away that I question the recommended power amplifier rating. I found that with lower powered amplifiers there was a degree of compression when playing music at anything above late-night levels. I can't imagine a 5W amplifier being anywhere near suitable for the AF-S4s, but perhaps Audiofilia meant that a 5 watt amplifier can be used for powering the tweeters in a bi-amp arrangement. In all other speakers who have recessed drivers their sound can not be remotely close to reality, even in millionaires' systems. Due to the killing of the (just) second harmonic by the cabinet surface. In our speakers this not happens and comes to issue the third harmonic of each played note, when every other speakers system does not go beyond the second. Our largest system AF-S8 ( € 50.400,00) is up to 13th harmonic emitted. But their sound is as never heard before in terms of realism of all musical parameters. Remember that what excites you in music are just the harmonics, without them, the music would be dead and uninteresting." The six inch woofers produce an amazing amount of bass. The AF-S4s were duly delivered to my front door, and having signed for them, I got my first surprise when I went to pick up one of the large cardboard cartons, and carry it upstairs. The AF-S4s are about the same size as the Alacrity Dundees that I reviewed at the start of this year, and yet I could easily manage their weight, whereas it had taken two people to carry the Dundees up the same stairs. In a technical world, where weight is often associated with build quality, I wondered what I was going to find when I unpacked the AF-S4s. But they were in no way flimsy, or lacking in solidity. The lack of weight is clearly down to the fact that the panels are kept as thin as possible in order to comply with Audiofilia's design concept that the cabinet should add to the acoustical output of a loudspeaker (rather than being inert). I had been told by Audiofilia that the AF-S4s had come straight off the production line, and would require a lot of breaking in, a figure of 100 hours being suggested as minimum. As I was reviewing another set of speakers at the same time, I put the AF-S4s in another room, with the woofers wired out of phase, and connected them to a tuner and amp, leaving them to play all day for over a week. Even then, when I transferred them to my auditioning room, and set them up for a serious audition, I could hear that they were far from ready to listen to. The mid-range was very prominent while the bass and top end sounded 'not quite right'. I would say that it took another couple of weeks of listening most days before I started to hear the real potential of the AF-S4s. The AF-S4s are designed for medium to large sized rooms, and require a couple of feet (60 cm) behind them, and at least a foot (30 cm) from the side walls. After moving them around a bit, I found that exact positioning wasn't too critical. It was while positioning these speakers that I got my next surprise. I noticed that when I put the speakers down on the thin carpet, I could make them wobble with a slight nudge. Audiofilia recommend against using spikes, but this went against everything that I thought about setting up speakers correctly. I decided on a compromise. I built two platforms out of wood, that had adjustable spikes in each corner, and placed them between the AF-S4s and the floor. The result was that the sound stage then appeared to be confined to an area at the speaker end of the room (as it is with most speakers), in an area around the speakers. Removing the platforms, and allowing the AF-S4s to wobble (not that you can see them wobbling) removed this discernible area of sound stage, and instead, the sound simply filled the whole room. It sounded a whole lot better! When I spoke with Audiofilia about my experiment, they replied that "Our speakers must wobble, and their feet were designed specifically because they do. The S system (of our invention) needs this and that's what makes you hear the full range of frequencies that you've heard in a so small speaker." Audiofilia also recommend setting up the AF-S4s so that they are pointing in toward the listening position. I tried them like that, and also firing straight ahead, and can't say that I noticed much difference in my room. The sweet-spot appears to be reasonably wide with either configuration. As I wrote above, the AF-S4s took a lot of breaking in, and the first sessions with them were not that inspiring. Gradually though, the sound improved, balancing out across the frequency range. I can't remember which track I was listening to, but one day I heard a very low grunt that I couldn't recall hearing from most other speakers with the same music. When there was very low frequency output in the music, the AF-S4s certainly didn't hold back in producing it. The deeper bass notes did sound low. I was also noticing something that I soon realised was the sound of the actual cabinets. Audiofilia use the cabinets to augment the output from the drivers, and although I had not been conscious of that with the much smaller AF-S2s, I could detect it clearly with the AF-S4s. After a while, I got quite used to it, but if you are used to cabinets that do not resonate so much (or at all), it does sound a bit 'different' at first. In case this puts some off, let me clarify this issue. Imagine that you listen to a note played on an un-amplified electric guitar, and then the same note played on an acoustic guitar. The 'extra' that you hear from the acoustic guitar is the contribution from the body of the guitar. This is what is happening with the Audiofilia speakers, and is obviously more noticeable with a larger cabinet. Eventually, the AF-S4s started to really get my attention. Their bass output is impressive, not just deep, but loud and clear, fast and tuneful. They surely need a larger room than my smallish auditioning room to perform at their best, but that said, the bass caused no problems during my audition. While the bass is fast with the AF-S4s, it's not quite as fast as with the smaller AF-S2s, but that's usually the case with the system having to move a much smaller amount or air in smaller loudspeakers. The midrange is clear and prominent, but not too much so. It is enough to project performers to the front of the sound stage, with such realism that it is possible to close the eyes, and imagine them in front of you. It is clear though, that such prominence will not tolerate any problems in the source or amplification equipment. The AF-S4s are speakers that don't hold back, so if you like your music 'in the background' style, they may not be for you. Anybody who is paying out for the AF-S4s will presumably have a decent system to play them with anyway.The top end is sweet, crystal clear, and did a great job with cymbals, or anything else that it had to portray. The AF-S4s have a gorgeous tone with almost anything that they play, but it is most obvious with acoustic guitar, and violin strings, that exhibit both a richness and purity. I don't think that they favour any particular genre of music, and do a very good job with any. I said of the Alacrity Audio Dundee 6s that they were probably your best best if you wanted a live rock concert in your room. Well, the AF-S4s pull off that trick as well (as, for example, I found with a live Rory Gallagher album), but I felt that they slightly bettered the Dundee 6s with other types of music. Like the Dundee 6s, they have great scale, and this was particularly well demonstrated on tracks from the sound track of the film 'Gladiator', the immense 'Sister Drum' album from Dadawa, and large scale classical works. Not surprisingly with the huge bass output, they also excel with Techno, and drum and bass. One of the albums that I played through the AF-S4s was 'Dark Side of the Moon', and I have never heard the heart beat on the opening track sound so real, or so prominent. The high level of bass output also meant that the drum kits were more discernible at the back of the sound stage, instead of simply being there in the background. I really enjoyed a drum solo in one of the Deep Purple albums that I listened to. That bass also reinforces vocals making singers sound more substantial. The sound stage was large with very good depth, and imaging strong and precise. And I noticed when listening to somebody playing a tabla that, while I could hear the sound of the fingers against the skin as I would normally do, I could also hear the deeper sound of air inside the instrument. With the AF-S4s properly integrated with the room, ie without being spiked to the floor, the music simply filled the room. I heard artefacts behind me that I have not heard with other speakers, similar to the Q-sound effects, but filling the whole room (no doubt due to the harmonics effect that Audiofilia speak of). That's not to say that the imaging wasn't sharp because every element in the recording (if it was recorded properly) was sharply defined in space providing a clear impression of the wide and (very) deep sound stage. With some music, eg Faithless, when the volume was turned up, it was a bit like listening to that music with headphones on. The AF-S4s presented every layer of a recording quite clearly, making almost anything that I played through them slightly more interesting, and absorbing, to listen to. They were also analytical, revealing every minute detail, something that is important with classical music and jazz, in allowing us to more easily understand the music. Summing up, I don't think that I can point to anything that I disliked about the AF-S4s. Once again, I was amazed that six inch drivers could produce the scale of music, and the level of bass output from what is a smaller sized speaker as floor-standers go. But it isn't just the quality of bass, the midrange and top end are of top quality too. They are pleasing to listen to, awesome when they need to be, consistently good with different genres, and allow the listener to really enjoy every detail and nuance of the music. In a single word, they are addictive. They won't work with flea-powered amps, deserve high quality partnering equipment, and must be set up as described by Audiofilia in the booklet that comes with them. If those conditions are met, the AF-S4s will likely put a big smile on anybody's face. Yes 'wobbly' speakers, with un-recessed drivers really do work very well! Since I reviewed their AF-S2s, Audiofilia have appointed more distributors, including one here in the UK. That's good because, good as the AF-S4s are, I wouldn't want to risk buying any loudspeaker at the price of the AF-S4s without an audition (even though these speakers are at the bottom end of the Audiofilia range). If you are in the market for this type of speaker, and have a chance to go and audition the AF-S4s, I'm sure that you won't think it a waste of time. Once again, I've been highly impressed with speakers from Audiofilia, products that do live up to manufacturer's claims. Clearly their 'S' system works, and the AF-S2 wasn't simply a lucky break.